IT'S not surprising that princes William and Harry want to deprive the lenses that watch their doorstep. After all, when you believe a group of people took your mother - aged just 36 years old - away from you, why would you let their cameras capture anything of importance? Why would you reward their intrusion with co-operation, and ultimately expose yourself to their unforgiving flashes? And so, Prince William and Prince Harry don't. They don't pander to the British tabloids that pore over every minute detail of their lives as royals. While others in the Palace have coexisted with the local press for decades - the Queen, for instance, is renowned for keeping things cordial - the sons of Diana resolutely do not. According to royal expert Marlene Koenig, it's their greatest mistake in the public eye. 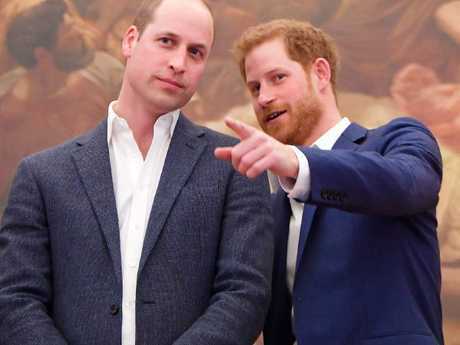 "William and Harry have distanced themselves from the media, and made things much more difficult for everyone around them," Koenig, who has written two historical books on the British royal family, told news.com.au. "What they fail to realise is that the tabloid press, with little to go on, will feast on whatever they have and try to turn it into something awful. The British tabloids just go for the jugular. They don't care about facts." While Koenig concedes the paparazzi made the boys' mother's life difficult, she believes their animosity is slightly misguided. "For them, this all goes back to Diana and their belief that the press killed her. But the truth is she was killed by a drunk driver and didn't have her seatbelt on," Koenig said. 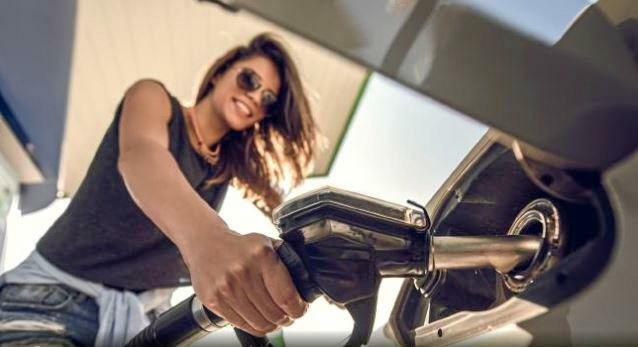 As tensions between the Duchess of Sussex and her estranged family intensify - her father and half-sister don't seem to be quietening down any time soon - Koenig has observed the brothers "building walls around themselves". 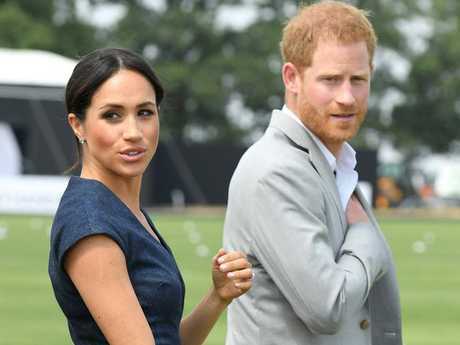 Since issuing an official statement in regards to the "wave of abuse and harassment" targeting his then-girlfriend in November 2016, Prince Harry has held such contempt for the press, he avoids them unless absolutely necessary. At his wedding in May, just one reporter and two photographers were welcomed through the gates, compared with the 28 reporters and 17 photographers the Duke and Duchess of Cambridge had at their 2011 wedding. Prince William is also said to be increasingly cagey. In May, ex-paparazzo Max Cisotti told CBC: "Nowadays, it's not uncommon to receive a letter from solicitors when you photograph the young members of the royals in a public place." 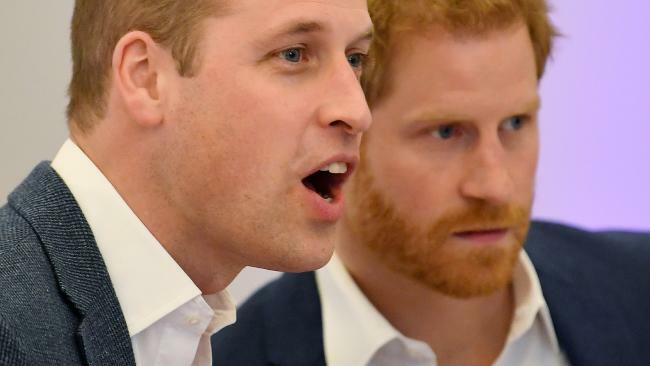 In Koenig's eyes, this strategy is foolish and emotional, as it effectively means William and Harry relinquish all control of the narrative being pushed. "They should be more offering to the public, to the media, and issue more things particularly when it comes to how [Prince George, Princess Charlotte and Prince Louis] are growing up, and how Meghan is getting on," Koenig said. "They certainly need to find a better balance than they have now, because the more you give, the less temptation there is to create stories." The author of Queen Victoria's Descendants suggests the princes should grit their teeth and look abroad to how other families handle the insatiable public interest that comes with being a royal. "If you compare them to the Swedish royal family, it's a completely different attitude," Koenig said. "They are always releasing photos of the kids and letting the public in." Koenig attended Crown Princess Victoria's 40th birthday celebrations in July last year and said it was an entirely different atmosphere to what she experienced at the royal wedding between the Duke and Duchess of Sussex in May. The festivities at Solliden Palace, in Borgholm, should provide a good example for the British royal family, Koenig said. "Victoria, Daniel, and the two kids were marvellous. Victoria works the crowd - she stops and talks to everybody, she poses for selfies, she talks to the press at length. They're so giving," Koenig said. "They'll release birthday photos, new photos of Estelle and Oscar several times a year … whereas the British royal family doesn't do that anywhere near as much." The Dutch royal family is equally impressive in their handling of the media, Koenig said, praising King Willem-Alexander and Queen Maxima for holding official photo calls several times a year. In many ways, Koenig said, the steady stream of palace-approved photographs is an unspoken compromise with the paparazzi. "The King and the Queen and their three daughters release a series of photos every few months in exchange for being left alone. It makes much more sense," Koenig said. "These families show there needs to be a far better agreement and a far better attitude between the media and Kensington Palace … but I fear it's only going to get much worse."